It originally started as a greengrocer on Clontarf’s main shopping street, Vernon Avenue, over 65 years ago. As a retail shop stocking the freshest quality fruit and vegetables it expanded its product range to offer a wider range of exotic fruit and vegetables, cheeses and dried goods coming from all over the world. In the 80’s chefs were coming from all over Dublin just to find that right ingredient! As their demands for quality products and excellent service increased, the business moved into a solely wholesale direction. 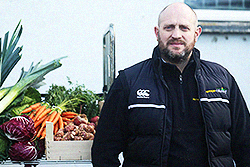 Sourcing the best in Irish produce from local farmers on a daily basis means there is no compromise on freshness. 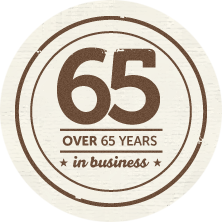 We have built up strong supplier relationships in France and Europe assuring the availability of quality produce has gone from strength to strength. We operate a 6-day timely delivery service in refrigerated controlled vehicles. 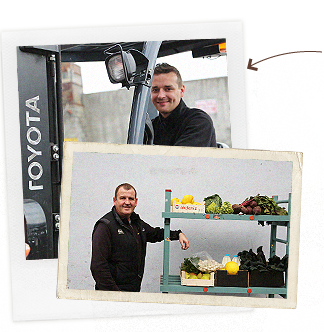 We also offer a 2nd same day delivery service in Dublin City from Monday to Friday. 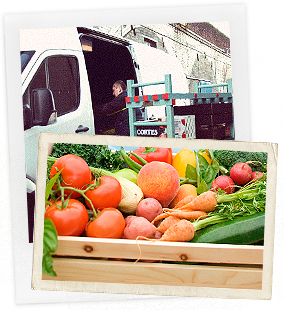 We aim to meet the needs of our customers through the supply of quality produce. Quality control is very important to us and we are always reviewing our own suppliers based on the quality of their deliveries.